The week got off to a good start for ABC. The network's Sunday broadcast of the Billboard Music Awards won out handily over season finales of The Good Wife and The Amazing Race on CBS, both of which were flat in 18-49. The Billboard show hit a 13-year audience high—a rarity in an age of increased fragmentation. Fox's Family Guy and Cosmos also took hits that evening—the night finished with an average of a 3 rating for ABC and a CBS in second with a 1.4. Fox returned a 1.3 rating, and NBC came in last with a 0.6. Overall, the Billboard Music Awards averaged 10.5 million total viewers (according to Nielsen fast nationals), nearly half—4.48 million—in the 18-49 demographic. 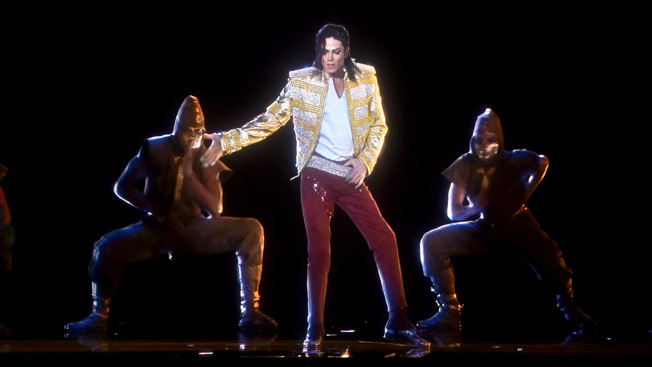 Part of the bump surely came from the much-publicized reappearance of an artist deemed unlikely to make a return to the live stage anytime soon—emphasis on "live"—the late Michael Jackson. Nearly six months in the making, the footage of the reanimated performer hadn't even been seen in its entirety by producers of the ceremony until eight days before the show. But viewers still remember the King of Pop fondly, and let's face it: He looks better in the video below than he has in years.